Under regulations from the FDA and the Food Safety and Inspection Service of the USDA, nutrition labeling is required for most foods. Voluntary nutrition information is also available for many raw foods: the 20 most frequently eaten raw fruits, vegetables and fish each, under FDA's voluntary point-of-purchase nutrition information program, and, under USDA's program, the 45 best-selling cuts of meat. The evolution of food labels can be traced back to the 1970's when then-FDA commissioner David Kessler, JD, MD, required that orange juice manufacturers be truthful regarding their use of the word "fresh." In 1990, the Nutrition Labeling and Education Act (NLEA) was passed. FDA's rules for food labels implement the provisions of NLEA, which, among other things, requires nutrition labeling for most foods (except meat and poultry) and authorizes the use of nutrient content claims and appropriate FDA-approved health claims. • claims about the relationship between a nutrient or food and a disease or health-related condition, such as calcium and osteoporosis, or, fat and cancer. These are helpful for people who are concerned about eating foods that may help keep them healthier longer. • declaration of total percentage of juice in juice drinks. This enables consumers to know exactly how much juice is in a product. If a claim is made about any of the optional ingredients, or if a food is fortified or enriched with any of them, nutrition information for these components becomes mandatory. These mandatory and voluntary elements are the only ones allowed on the Nutrition Facts panel. The listing of single amino acids, maltodextrin, calories from polyunsaturated fat, and calories from carbohydrates, for example, may not appear as part of the Nutrition Facts on the label. All nutrients must be declared as "percentages of the Daily Values" which are label reference values. The actual amount, in grams or milligrams, of macronutrients (such as fat, cholesterol, sodium, carbohydrates, and protein) are still listed to the immediate right of these nutrients. Listing amounts as a percentage of the Daily Values is intended to prevent confusion that the "size of a number" can create. For example, a food with 140 milligrams (mg) of sodium could be mistaken for a high-sodium food because 140 is perceived as a relatively large number. In actuality, however, that amount represents less than 6% of the Daily Value for sodium, which is 2,400 mg.
On the other hand, a food with 5 g of saturated fat might be viewed as containing a low amount of fat (ie., because 5 is a small number). In fact, that amount represents one-fourth the total Daily Value because 20 g is the Daily Value for saturated fat. Specific options for packages with less than 40 square inches and packages of less than 12 square inches of label space are also established. If manufacturers wish to provide nutrition information on these smaller packages voluntarily, they have several options: (1) present the information in a smaller type size than that required for larger packages, or (2) present the information in a tabular or linear (string) format. "Ingredients" are not the same as "nutrients." Serving Size: NLEA defines serving size as the amount of food customarily eaten at one time. The serving sizes that appear on food labels are based on FDA-established lists of "Reference Amounts Customarily Consumed Per Eating Occasion." These reference amounts, which are part of the regulations, are broken down into 139 FDA-regulated food product categories, including 11 groups of foods specially formulated or processed for infants or children under 4. They list the amounts of food customarily consumed per eating occasion for each category, based primarily on national food consumption surveys. Grams (g) and milliliters (mL) are the metric units that are used in serving size statements. Free: This term means that a product contains no amount of, or only trivial or "physiologically inconsequential" amounts of, one or more of these components: fat, saturated fat, cholesterol, sodium, sugars, and calories. For example, "calorie-free" means fewer than 5 calories per serving, and "sugar-free" and "fat-free" both mean less than 0.5 g per serving. Synonyms for "free" include "without," "no" and "zero." A synonym for fat-free milk is "skim". Zero Trans Fat: One of the rules that went into effect on January 1, 2006 was that the amount of trans fat in a food product must be listed on the nutrition label. Thus, consumers will be seeing "zero trans fat" on more products. Manufacturers are allowed to use this statement if the product contains less than 0.5 gram per serving. However, consider the Tour de France cyclist who, during a single day of racing, may consume 8-10 energy bars that contain 0.4 grams of trans fat per bar. In this scenario, the cyclist would be consuming a fairly substantial amount of an undesirable food additive, despite the label indicating "zero trans fat." Synonyms for low include "little," "few," "low source of," and "contains a small amount of." High: This term can be used if the food contains 20% or more of the Daily Value for a particular nutrient in a serving. Good source: This term means that one serving of the food contains 10 to 19% of the Daily Value for a particular nutrient. Reduced: This term means that a nutritionally-altered product contains at least 25% less of a nutrient or calories than the regular, or reference, product. However, a product can't claim to be "reduced" if its reference food already meets the requirement for a "low" claim. Less: This term means that a food, whether altered or not, contains 25% less of a nutrient or calories than the reference food. For example, pretzels that have 25% less fat than potato chips could carry a "less" claim. "Fewer" is an acceptable synonym. • First, that a nutritionally altered product contains one-third fewer calories or half the fat of the reference food. If the food derives 50% or more of its calories from fat, the reduction must be 50% of the fat. • Second, that the sodium content of a low-calorie, low-fat food has been reduced by 50%. In addition, "light in sodium" may be used on food in which the sodium content has been reduced by at least 50%. The term "light" still can be used to describe such properties as texture and color, as long as the label explains the intent -- for example, "light brown sugar" or "light and fluffy." More: This term means that a serving of food, whether altered or not, contains a nutrient that is at least 10% of the Daily Value more than the reference food. The 10% of Daily Value also applies to "fortified", "enriched", "added", "extra", and "plus" claims, but in those cases, the food must be altered. Healthy: A "healthy" food must be low in fat and saturated fat and contain limited amounts of cholesterol and sodium. In addition, if it's a single-item food, it must provide at least 10% of one or more of vitamins A or C, iron, calcium, protein, or fiber. The sodium content cannot exceed 360 mg per serving for individual foods and 480 mg per serving for meal-type products. Exempt from this "10-percent" rule are certain raw, canned and frozen fruits and vegetables and certain cereal-grain products. These foods can be labeled "healthy," if they do not contain ingredients that change the nutritional profile, and, in the case of enriched grain products, conform to standards of identity, which call for certain required ingredients. Claims for 10 relationships between a nutrient or a food and the risk of a disease or health-related condition are now allowed on food labels. They can be made in several ways: through third-party references (eg., the National Cancer Institute), statements, symbols (such as a heart), and vignettes or descriptions. Whatever the case, the claim must meet the requirements for authorized health claims. For example, they cannot state the degree of risk reduction and can only use "may" or "might" in discussing the nutrient or food-disease relationship. And they must state that other factors play a role in that disease. The claims also must be phrased so that consumers can understand the relationship between the nutrient and the disease and the nutrient's importance in relationship to a daily diet. An example of an appropriate claim is: "While many factors affect heart disease, diets low in saturated fat and cholesterol may reduce the risk of this disease." The 10 allowed nutrient-disease relationship claims and rules for their use can be found at: www.FDA.gov. Today's food label offers useful nutrition information. Still, they could be better. • "Added sugars": Acknowledging that Americans consume too much sugar, the FDA plans to add "Added Sugars" to the label. 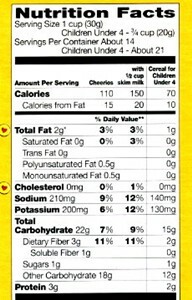 • Revised Daily Values: The reference amount for nutrients such as sodium, fiber, and vitamin D will be revised. In turn, the "% Daily Value" for these nutrients will also change. • Vitamins/Minerals: To help emphasize that potassium is beneficial for lowering blood pressure, and, that vitamin D is important for bone health, FDA proposes that these 2 nutrients become mandatory elements of the label. • Updated Serving Sizes: Acknowledging that Americans often consumer larger quantities than present "Serving Sizes" reflect, these will be updated. • "Calories From Fat": The FDA feels that the type of fat is more important than the calorie amount from fat. They plan to remove the "Calories From Fat" detail. • Vitamins/Minerals: The amounts of vitamin A and vitamin C will no longer be a mandatory element. Manufacturers, however, can continue to list the quantities of these nutrients if they wish. • Introduce Dual Columns: A dual column format is proposed. The new format will present calorie and nutrition information as "per serving" and "per package." • Larger Font Size: Details such as Calories, Serving Size, and Percent Daily Value, will be displayed in a larger font size. Note also how they have arranged the "g" and "mg" amounts in a nice, vertical column, and, in the Ingredients list, they clarify how much of a particular ingredient makes up the food item. • Clarify Types of Sugars: The goal of informing consumers of the amount of "sugar" or "sugars" in a given food is helpful, but, doesn't provide enough detail. First, some added sugars, such as sorbitol and xylitol, are not absorbed. Thus, these sugars do not contribute to the calorie total. I think it would be more helpful to list sugar content as "Sugars, caloric" and "Sugars, non-caloric". • Glycemic Index / Glycemic Load: Extensive research has been conducted on how the glycemic index of carbohydrates affects exercise performance. More recently, there is growing concern regarding the detrimental health effects of a diet that is high in refined carbohydrates. Here, the problem is not just "sugar," but refined carbohydrates in general. Because of this, I also think the "Glycemic Index" and/or the "Glycemic Load" values should appear on food labels. This is not a new concept. 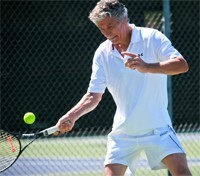 It was developed by David Jenkins, MD, PhD, DSc, at the University of Toronto in 1981 (Jenkins DJ, et al. 1981). The University of Sydney maintains a database of these values for thousands of specific foods. It is available at: www.GlycemicIndex.com. "To burn off the calories in one serving, you would need to walk ____ minutes"
...should be added to food labels. Of course, perfectionists will argue that this value will vary for every body weight and every walking pace. That's true, but this criticism could also be leveled at the "%DV" numbers since those are all based on a "standard" 2000-calorie per day diet. In this case, giving consumers some rough idea of how long they must exercise is more significant than its precision. It would be more logical to group the 3 main macronutrients (carbs, fats, protein) together, list all the vitamins together, and list all the minerals together. Within each of these lists, alphabetize the ingredients. • Major Nutrients; Carb-to-Protein Ratio: The 3 major nutrients -- carbohydrates, fats, and protein -- should be grouped together. After all, these are where your calories come from. Cholesterol and sodium do not provide any calories, so these should not be included in this group. With the 3 major nutrients grouped together, consumers can then begin to get a feel for the "carb-to-protein ratio" of specific foods. In addition to the fact that health problems can occur from a diet high in refined carbohydrates (Liu S, et al. 2000) (Ludwig DS. 2002) (Pereira MA, et al. 2004), many people don't consume enough protein at each meal. Being able to quickly calculate the carb-to-protein ratio would be a big improvement. (A University of Illinois study showed that a diet with a relatively balanced carb-to-protein ratio was healthier than a diet with a much higher carb-to-protein ratio: Layman DK, et al. 2003). Q: Are "fractionated" oils the same thing as "partially-hydrogenated" oils? ANSWER: No. Fractionated oils are not "partially-hydrogenated". But, even though fractionated oils don't contain trans fats, they do contain saturated fat, which should also be limited. The USDA recommends that the combined intake of trans fats and saturated fats be no more than 20 grams per day. Food labels have been revised several times since their debut in the early 1970s. They provide useful information, but, substantial improvements can still be made. 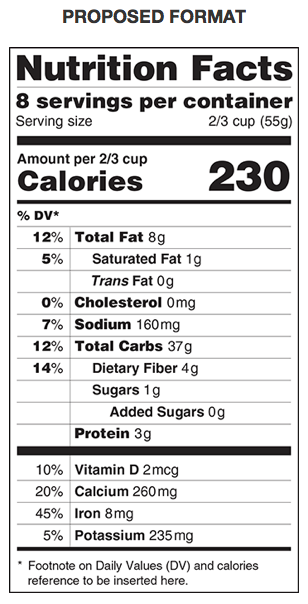 On Thursday February 27, 2014, the FDA announced it is proposing major changes to the existing Nutrition Facts panel. Those interested in providing input to the FDA can do so any time prior to May 27, 2014. 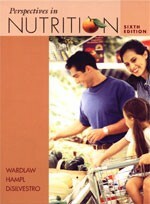 Though intended to be an academic text, "Perspectives In Nutrition" (by Wardlaw, Hampl, and DiSilvestro) is a nutrition book that most consumers could use. The information is written in easy to understand language, and, the multitude of colorful diagrams, tables, and pictures help to explain the concepts. While it may be more information than you need (the Appendix alone is 203 pages! ), it truly is an outstanding nutrition resource. Read our review. We created our "Exercise Calorie Converter" tool back in 2006. • Johns Hopkins Study, Feb. 2012: In this study, signs were posted at the point-of-purchase in 4 quick-shop stores in Baltimore. The signs reported how much exercise would be required to burn-off the calories in various soft drinks and fruit-flavored drinks. The researchers found that this information did prompt consumers to purchase lower-calorie beverages. • U. North Carolina - Chapel Hill Study, March 2013: In this study, 804 subjects ordered meals from simulated restaurant menus that presented calorie information several different ways. It was found that, when calorie information was provided as exercise equivalents, the meal that was ordered contained fewer calories. The format that had the greatest impact was the one stating calories as "number of miles" of walking, though, the menu reporting the amount as "minutes" of walking was also effective. • Texas Christian Study, February 27, 2014: In this study, 300 subjects were presented with one of 3 different menus: one had no calorie information, the 2nd did provide calorie information, and the 3rd reported the number of minutes of brisk walking required to burn those calories. The group ordering from the exercise-labeled menu did order and consume fewer calories compared to the group using the menu with no calorie information. However, there was no difference in the number of calories ordered and consumed between the exercise-labeled menu group and the group using the menu that did provide number of calories. Use our unique Exercise Calorie Converter mobile app to convert the calorie amounts in restaurant items into minutes of exercise. This may help you make better menu choices. Code of Federal Regulations Title 21: Food and Drugs: "Part 101: Food Labeling"
FDA Consumer Web Site: "How to Understand and Use the Nutrition Facts Label"